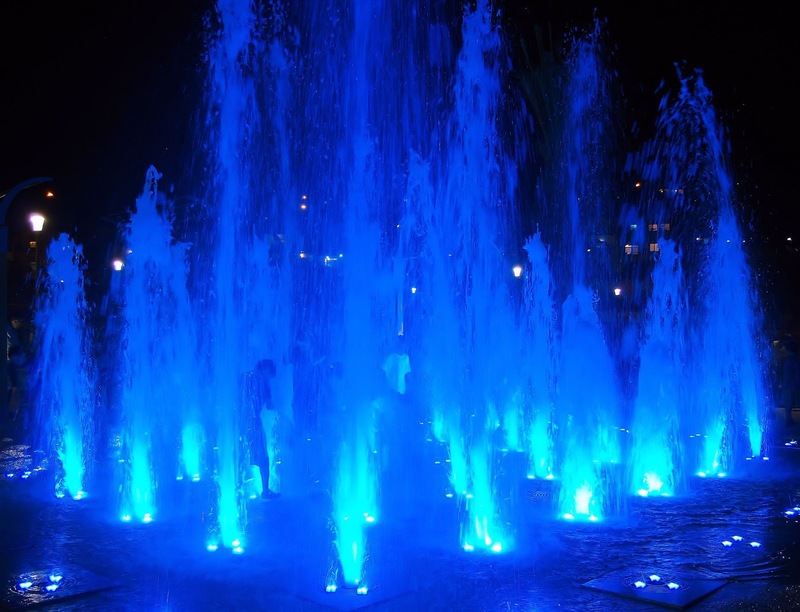 The light water fountain that changed colors at opening night. 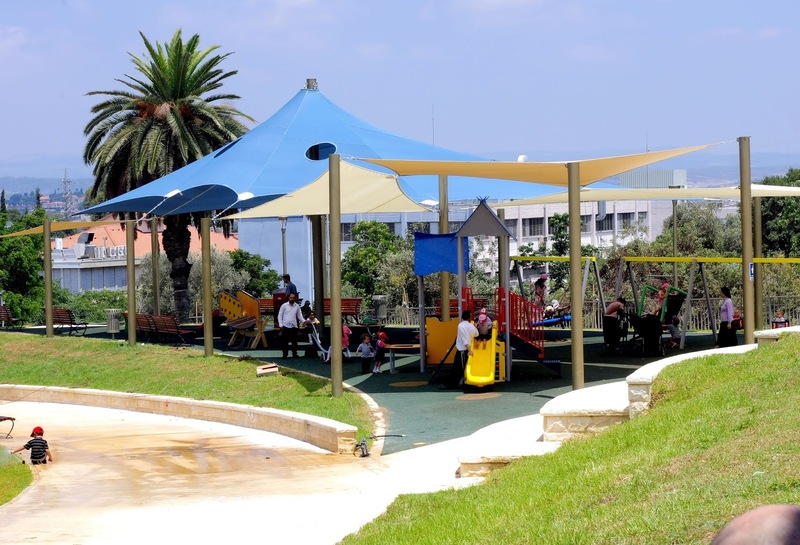 A new park opened this summer in Zichron Yaakov with the usual pose and ceremony due to a major in an election year. But it was still easy enough to block out all the self-congratulating speeches and just enjoy the entire spectacle. Luckily the politicians went home, the food stands packed up and the temporary stage was dismantled. And a few days later my children and I visited the park in the broad daylight to see if the park is really a promising as it looked at opening night. The park itself looks basically like one would expect a new park to look like. Lots of newly planted trees, new grass and not a lot of flowers yet. 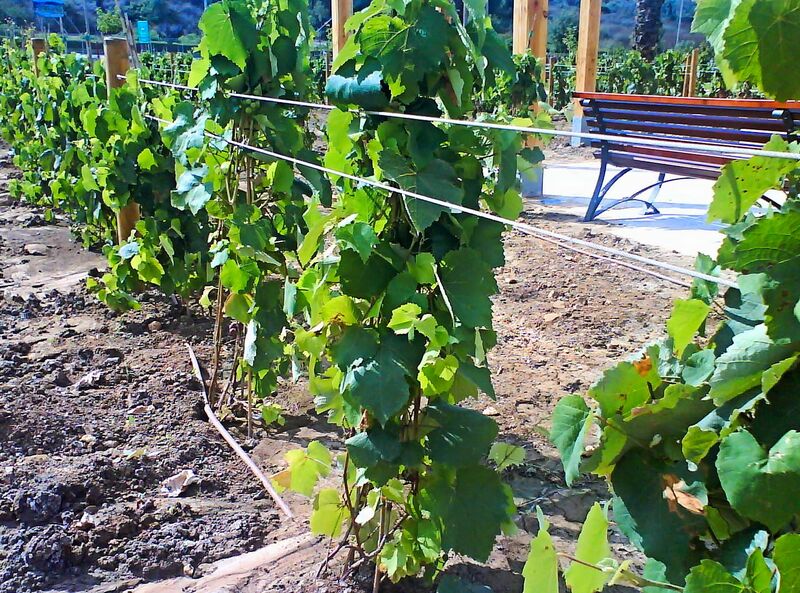 The grapevines, probably as a nod to the fact that Zichron is 'wine-country' still has to grow and cover the arbor. 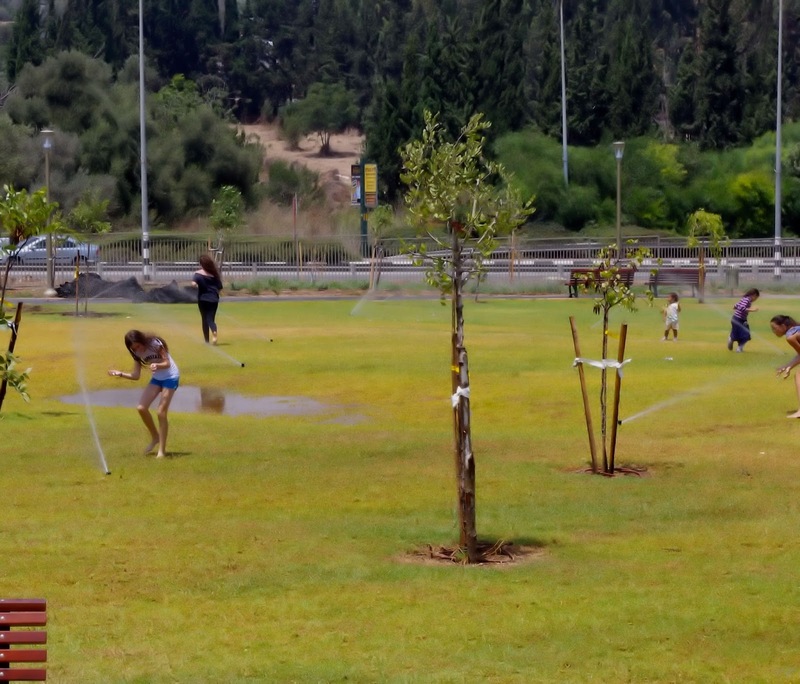 A few children enjoying the sprinklers on a hot summer day. One of the newly plant pomegranate trees. 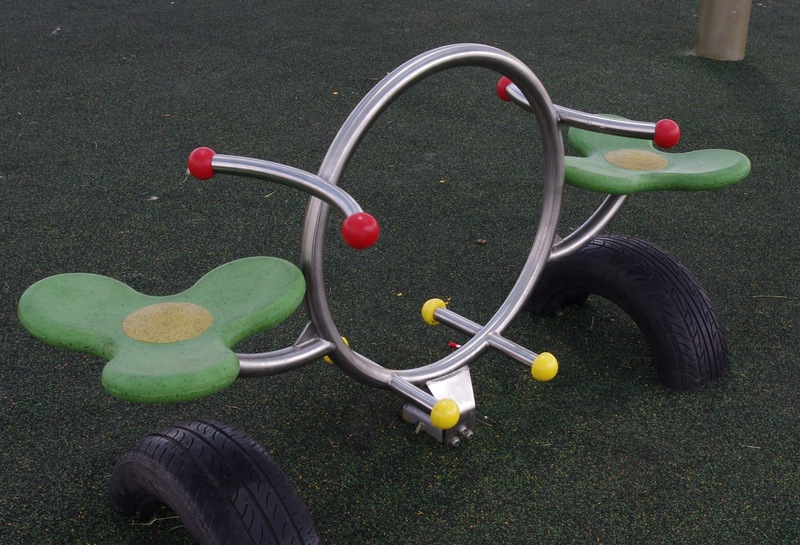 There is not really a lot to do for grown-ups, except for maybe strolling or cycling around the park a bit. Once the trees have grown a bit though, it will be a great place for picnics. There are toilets at the new park, but they are those portable types and are only found in the far corner of the park. 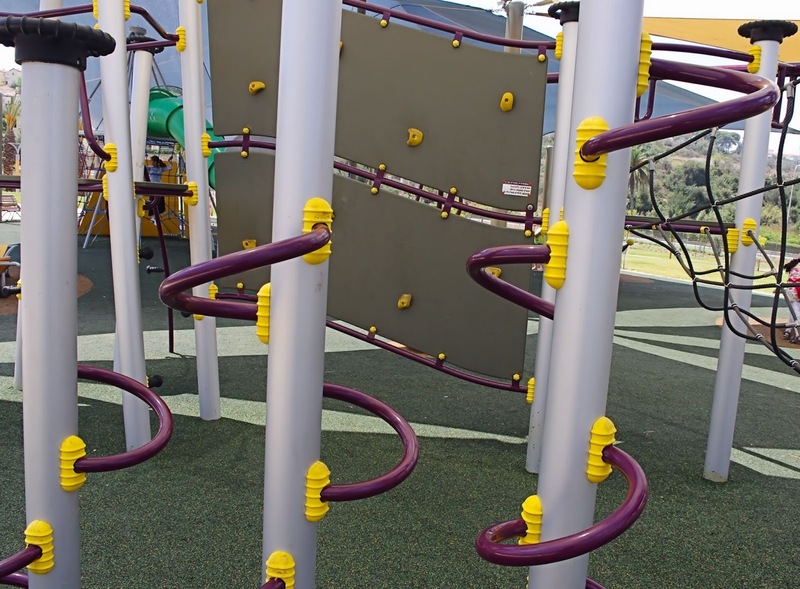 They are a bit too far for a small child playing on the slides who suddenly really have to go. There are 3 entances to the park, but only one can be reached by car. 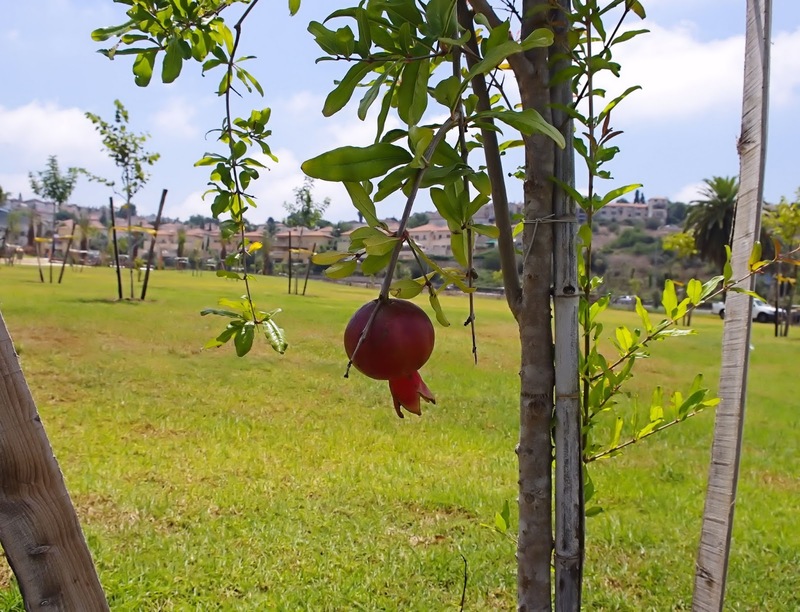 Go to the Halomot Zichron neighbourhood, turn towards the high school and keep on going until the road ends in a parking lot. Some of the newly planted vineyards that will eventually cover an arbor. 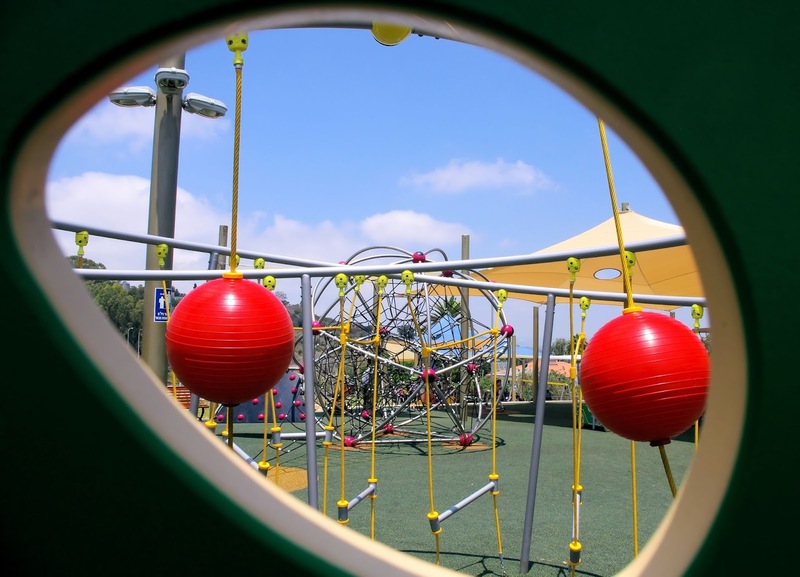 The most wonderful monkey bars and jungles gyms waiting to be explored. A large spider's net to get caught in. 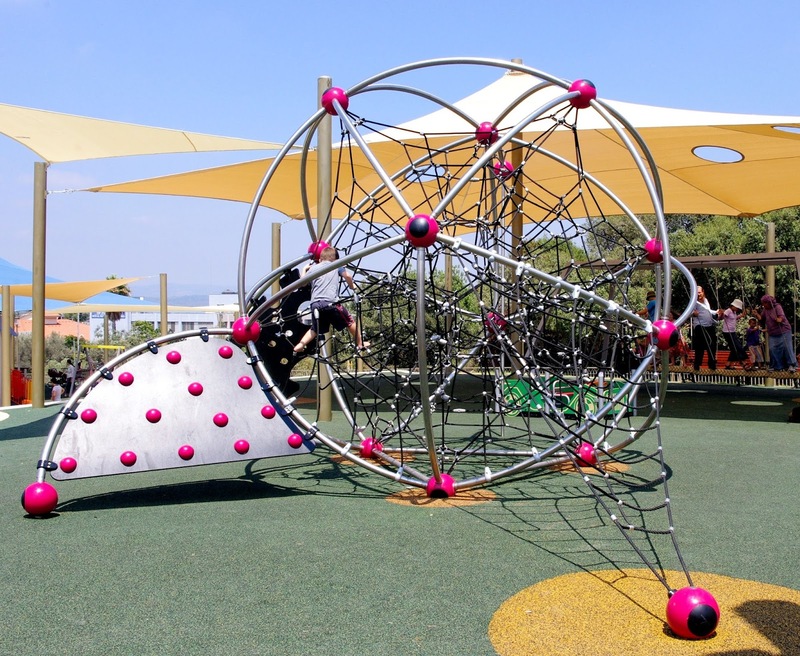 So if you have young children, bring them to the new moshava park in Zichron Yaakov, they will definitely have a blast. If not, wait a bit until the weather is a bit cooler or the park has 'grown' a bit. 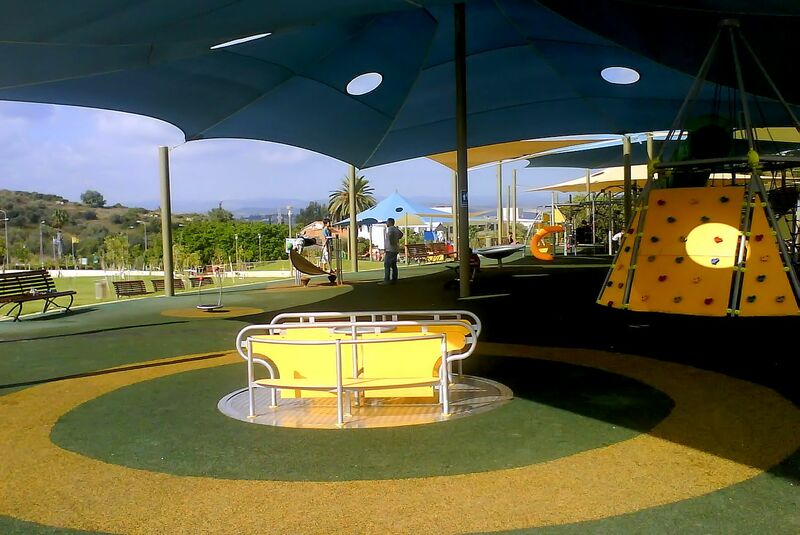 In a few years' time the moshava park is going to look great and will for sure be a great place to visit. I hear you :) Jacob!